Heavy Planet presents...Parasol Caravan Today's "New Band To Burn One To" is from Linz, Austria. "Parasol Caravan crank their amps up to 11 and play heavy rock with stoner and psychedelic elements. They are a dirty soundbastard between Black Stone Cherry and Kyuss with never ending groove, fat guitar riffs that have no mercy with your neck and incredible whiskey soaked vocals that get under your skin. Since the end of 2009 the four piece is rocking as many stages as possible and honoring their idols of the past without losing touch with the modern rock scene." Parasol Caravan make an honest form of stoner rock. 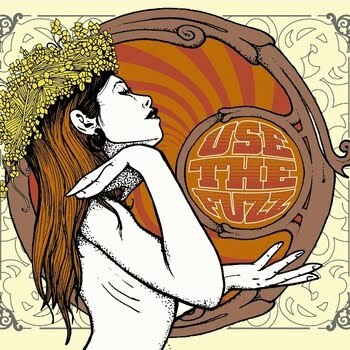 Their potent selection from recent split EP Use The Fuzz (shared with fellow-fuzzer's Cachimbo de Paz) offers an enhanced and memorable version of riff rock. I mean these Austrian's riffs are relentless. Each track welcomes head-banging grooves. The introductory track The Barbers Snake wastes no time bringing this our attention, with an onslaught of drums and rhythm... but the majesty of riffage is found on the final track Chinese Eyes and in my opinion is legendary. Be sure to check it out and, in the words of Parasol Caravan "may the fuzz be with you! ".